Work is finally beginning at Killocrim National School on their new All Weather Pitch. 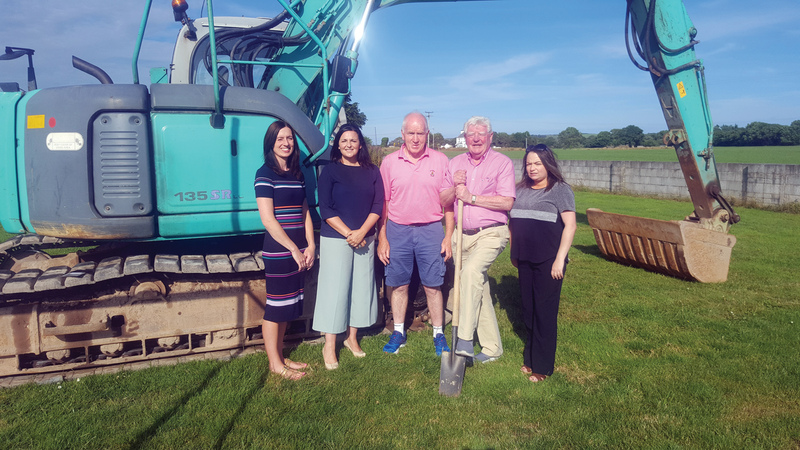 Finbarr Mawe, Chairperson of the Board of Management officially turned the sod this week on this exciting amenity for the school. This project is a product of the combined efforts of many hard working stakeholders namely a dedicated fundraising committee, parents. pupils and the wider community. These worked tirelessly together to help achieve our aim of providing this resource for the benefit of the 101 girls and boys who attend Killocrim National School. This facility will have far reaching benefits for our pupils and we hope to utilize it in many areas of the curriculum. Pupils will use the pitch to further promote our Health Promoting School Initiative and help us further along our way towards achieving Active School status. This long awaited project should finally be in place when we return to school in September when the pupils will have many opportunities to explore and enjoy this All Weather Pitch for many years to come.